Find out when you can claim compensation from your employer due to a fall from a ladder at work in Liverpool causing multiple injuries including a broken leg, fractured foot and shattered knee. 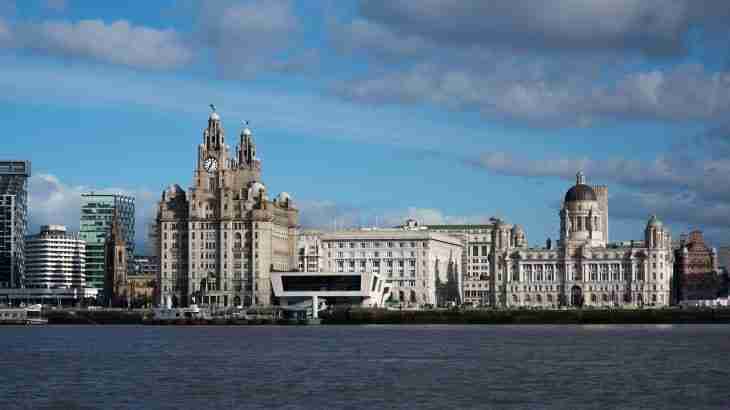 I am a manual labourer working close to Liverpool city centre in Merseyside. One day I was asked to assist unloading items from scaffolding in our works supply warehouse. When I arrived at the scene my supervisor was on the scaffolding and there was ladder leading to the top of the scaffold to a height I would estimate of 6 metres. My supervisor explained that he was moving some boxes which were quite small to be carried down the ladder so I should climb the ladder and remove the boxes two at a time. When I was climbing the ladder the feet of the ladder slipped and I fell off hitting the concrete floor slightly off balance on my right foot. I realised immediately that I was badly injured and some other employers in the warehouse ran to my assistance. An ambulance was called and I was taken to the accident and emergency department in a hospital; in Liverpool. I was treated for some quite serious injuries – several bones in my right foot and leg were fractured and the patella in my right knee was shattered. I understand that the accident and injuries were entered into the accident book and since the accident I understand that training is given to employees before any work is done on ladders and that ladders are now typically tied off or properly footed so that no slipping can occur. I would like to know if I can make a claim for compensation from my employer and if so how much my multiple fractures are worth? From the information you have supplied it seems quite clear that your employer is at fault for asking you to work at heights on a ladder without proper training and without ensuring that a ladder is properly secure. You have indicated that the accident was reported in the work accident book and as the injury was serious and I would imagine resulted in more than three days off work – your employer will have had to notify the Health And Safety Executive who will I am sure have attended at the workplace to investigate the working practices. it is quite likely that the system of work has been changed for this reason, which in itself supports the presumption that your employer was at fault. Should you make a claim your solicitor would access documentation held by your employer including risk assessments before and after the accident and the documentation relating to the HSE’s investigation which should all support your claim for compensation. You have asked how much compensation you can claim for your injuries and although it is clear that your claim is worth many thousands of pounds it is not clear at this stage exactly how much. A detailed medical report is required from an independent medical expert (orthopaedic surgeon with a speciality in lower limbs), you might have psychological injuries which would need to be assessed by a psychiatrist and there may be an ongoing and future loss of income claim so an accountants report might well be necessary. Only after these reports are obtained and based upon the opinions given by the respective experts can the amount of compensation be properly assessed.